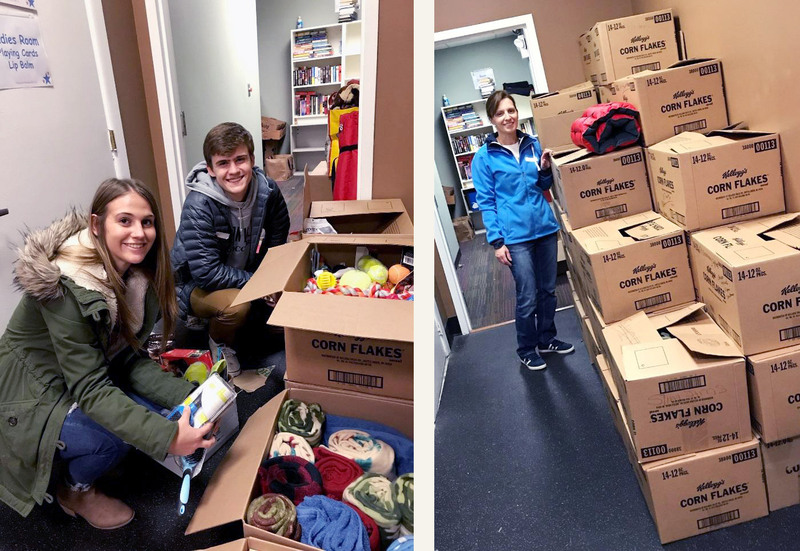 This holiday Longwood Veterinary Center teamed up with Stockings for Soldiers, a non-profit organization out of Wilmington, Delaware. Their mission is to improve the morale of the members of the United States armed forces, two and four legged ones! They sow and stuff thousands of stockings for a touch of home during the holidays. The generous clients of Longwood Veterinary Center donated around $2,000.00 and brought in multiple donation items! With the funds we were able to purchase shampoo, conditioner, eye wash, ear cleaner, nail trimmers, Advantix, lean treats, combs, toys, kongs, and more! Dr. Beatrice McCabe graciously organized this fundraiser, and thoroughly enjoyed bringing the box full of goodies to their stocking headquarters. It was like a room full of busy elves! She and her family sorted and packed 40 boxes for the dog soldiers! We want to thank everyone that contributed, and to Longwood Veterinary Center for matching all donations purchased through LVC. But more than that, we want to thank the men, women, and K9 military service members who work hard every day to protect and serve our country. We hope that our gifts help to not only uplift but provide care throughout the year. Happy Holidays from Longwood Vet Center!